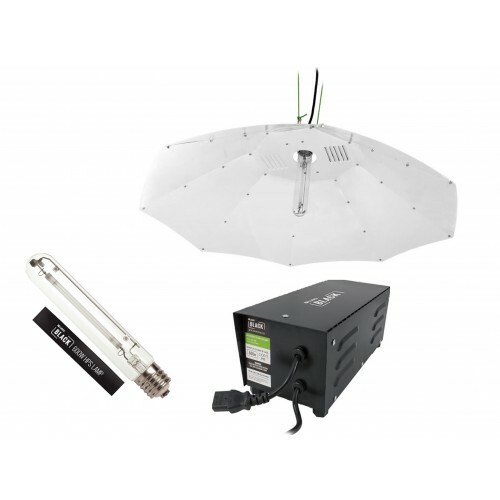 The Lumii Black 600w parabolic light kit comes complete with 600w magnetic metal ballast, 600w dual spectrum grow lamp and large white parabolic reflector for maximising light distribution and yields. The LUMii BLACK Lamp is a 600w Dual spectrum Lamp with an E40 fitting. 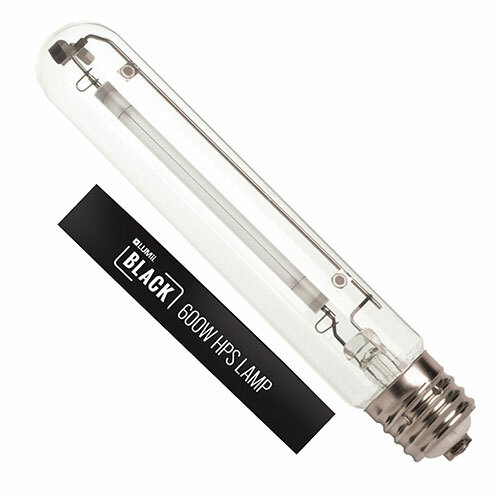 Offering raised blues, this bulb is perfect for stimulating enhanced flowering.The LUMii BLACK Lamp offers 20,000 life hours and 88,000 Lumens.For best results. The LUMii BLACK Metal Magnetic Ballast is supplied with a flying IEC lead which enables you to add any reflector fitted with a universal IEC socket. It’s simple to start growing, just add a reflector and a lamp with the same wattage as the ballast. The well vented metal-case ensures the ballast runs cool and quiet and features wall-hanging brackets making them fully wall-mountable, thus making more space in your grow room. 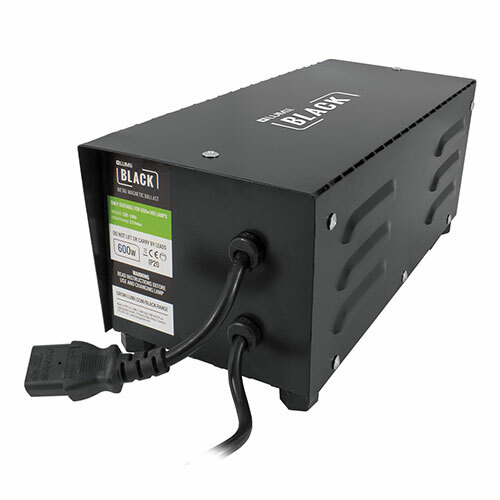 The LUMii BLACK Metal-Cased Magnetic ballast can be used with any 600w HID lamp – however we recommend using a LUMii BLACK 600w Dual spectrum lamp to get the best results. Sun King provide high quality reflectors with high quality components. 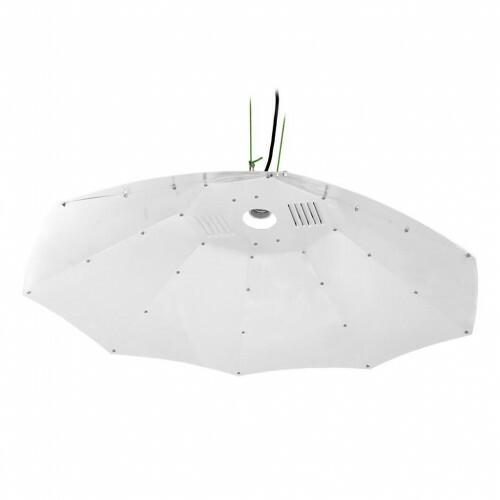 This parabolic reflector is made up of individual panels with a vented top section to reduce heat build up. The unusual vertical mounting of the lamp allows more light to be reflected down towards the plant from the curved white panels of the reflector. This also creates a more even distribution of light and so helps to avoid uneven growth of plants. Lumii Rope Ratchets 2pkThe LUMii Rope Ratchets are optimally designed to assist you in regulating th..
Powerplant Heavy Duty Timer The Powerplant Heavy Duty Timer is the only timer that you will ne..